Click play on the video below to take a tour of the shop with Sanshi. This Australian didgeridoo is made from a termite hollowed Eucalyptus tree from the Northern Territory, Australia. This tree has been hollowed out by termites so it is natural and unique. It has also been worked on the inside to improve the sound, so you can be assured, it plays and sounds great! Have a listen to the sound sample so you see for yourself. Jesse Lethbridge is a longtime friend and member of the Didgeridoo Breath team. Over the years, Jesse has honed his didgeridoo crafting skills and is now recognised as one of Australia's talented didgeridoo makers. Jesse has a unique style in both the sound and feel of his didges. Customers around the world enjoy playing their Jesse Lethbridge didgeridoos, whether its on stage, in the studio, or in the bedroom. This didgeridoo is a beautiful creation and will be a valued instrument in your didgeridoo collection. 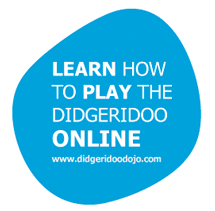 If you have any questions about this didgeridoo, don't hesitate to email us. Great packing and super reliable shipping makes sure you will get your didgeridoo safely and on time, where ever you are in the world! FREE shipping Australia wide with TNT Road Express. It takes around 5 to 10 working days. We ship this didgeridoo to you with Worldwide Air Express. It takes around 3 to 5 working days to arrive and costs $99 AUD. We get this special rate as we send many didgeridoos and it's even cheaper than slower regular mail. If you order other products the shipping price may be more, the shopping cart will work that out automatically for you. 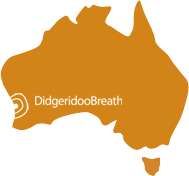 If you would like to read what our customers have to say about their experience with Didgeridoo Breath, click here to read out customer comments. "Two days from Australia to the UK. Unbelievable service simply awesome. Thanks Guys!" © 2014 Didgeridoo Breath. All Rights Reserved.